Welcome! I’m Bryan. I’m a former lawyer and current freelance writer and consultant. 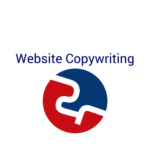 Since 2012, businesses and individuals turn to me to provide quality website copy, blog posts, and email marketing in addition to small business and management consulting. Below you will find the different areas in which I specialize: website copy; legal copy; email campaigns; feature writing; and consulting. Clicking the logo will show you how I can add value to your organization. You have seen my writing in the American Bar Association, Yahoo! and Orlando Sentinel in addition to smaller blogs and ghostwriting contracts. Whether you need someone to write for you or write as you, I can add value to your organization to help you succeed. Browse around, look at my portfolio, and contact me to have me advise, work, and write for you today. Thanks for stopping by and don’t forget to sign up to be friends!